Just Sold in the Redwood Neighborhood 3128 Kern Street Home for Sale in the beautiful coastal city of Oxnard, California. Another challenging yet successful VA financed deal. My clients, the sellers, were joyful that a military family was able to acquire the property despite the challenges VA financing demands in order to approve the loan- mainly strict property condition guidelines. The property was Sold above asking price within a 50 day period. Some of the challenges tied into the VA financing was the mold remediation and roof certification. Nevertheless, the sellers were very cooperative and were willing to do the necessary repairs in order for the strict VA guidelines to pass. The asking price was $439,000 the house sold for $453,100. A few concessions were granted to smooth out the deal and provide the new military family some closing cost and credit for other repairs. Built around 1957 the house featured 4 bedrooms and 2 bathrooms with approximately 1233 ft² of living space on a lot size that measures a little over 6000 ft². Possible RV area with a detached 2 car garage that has access via a public alleyway. It was tenant occupied at the beginning of the marketing but ended up being vacant for a much more smooth transaction. The home had a few custom designs such as crown molding throughout, tile flooring throughout the entire house and a custom wood decorated fireplace. Wonderful backyard with ample room, concrete patio, fruit trees, and a custom barbecue bar area. Ideal for special moments with friends and family. Sale of 3128 Kern St Oxnard, CA was conducted via 1031 exchange at no extra cost to the home buyer. This property Sold for top dollar in the Redwood Neighborhood which earned my client a substantial amount to be reinvested free from taxation. 1031 Exchanges are designed for investors to sell properties and reinvest their money free of capital gains tax. This was a very successful transaction thanks to the team at Stewart Title and Escrow as well as the team at Troop Century 21 Real Estate whom represented the buyers. We were all happy to finally help a military family acquire their home of choice. Redwood neighborhood is a coastal community that is within 3 miles of beach access. 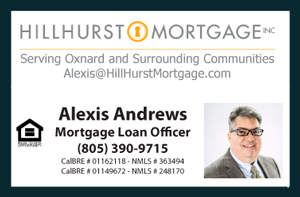 It recently had the streets resurfaced by the city of Oxnard and enjoys the proximity and convenience to restaurants, coffee shops, golf courses, the navy base, and more! The Port Place Market center is adjacent to the neighborhood providing locals with many stores walking distance.